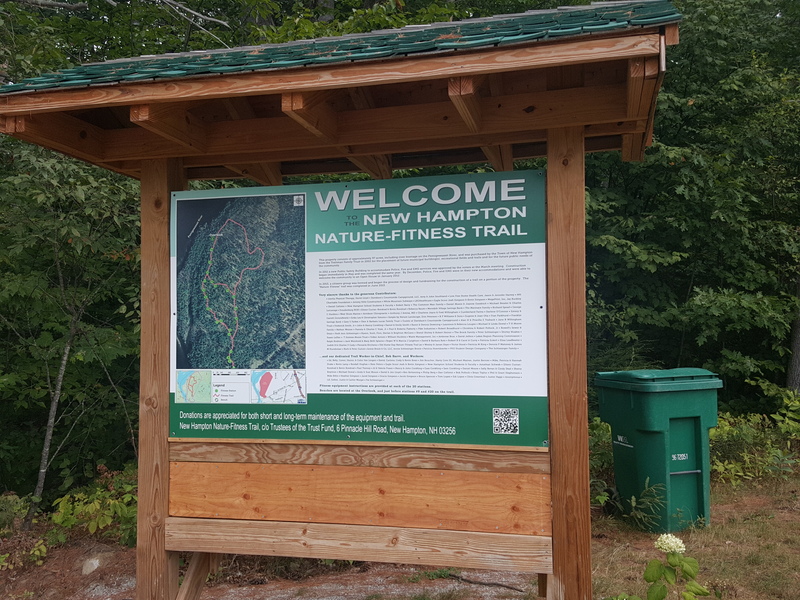 We did several of these trail head kiosk signs for the Town of New Hampton NH. They welcome people to their new nature trail, show a map of the trail, and ask people to respect the area. These trail head signs were printed on 1/4″ sintra, coated with a protective clear coat, and installed with flat head tamper resistant screws. We’ve done a fair number of these trail head kiosk signs around New Hampshire. After all, there are a lot of hiking trails to be found! Our customers find this to be an inexpensive way of creating a great looking kiosk sign. Very often, as happened in this case, they were able to design the sign themselves in PowerPoint, which saved them a fair amount of money. This entry was posted in Flatbed printing and tagged kiosk signs, outdoor signs, park kiosk signs, trail head signs. Bookmark the permalink.